Sleek Antique dinette Table adds sophistication to any kitchen or breakfast nook. Wrapped in a rich black and cherry finish to compliment any décor. The 36-inch round tabletop with beveled edges is beautiful enough to display fine china and sturdy enough for a family barbeque. Supported by a graceful 30-inch pedestal stand that features four elegantly carved legs. 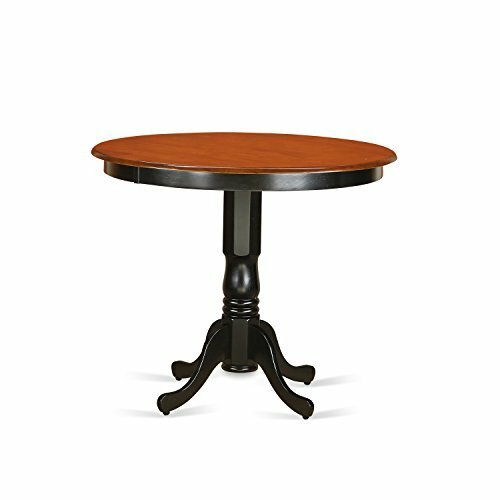 Include: Antique Table 36" Round with Black and Cherry Finish. 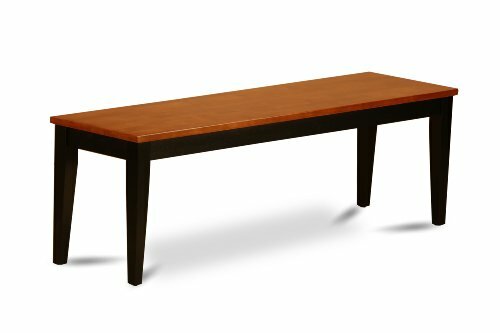 One Nicoli Dining Bench With wood seat. Constructed with all solid wood. Simple, plain design. Finished in 2 tone Black and Cherry Finish. Include: Nicoli Dining Bench with Wood Seat in Black and Cherry Finish. Kitchen dinette chair constructed of all hardwood. Finished in a warm Black and Cherry color. 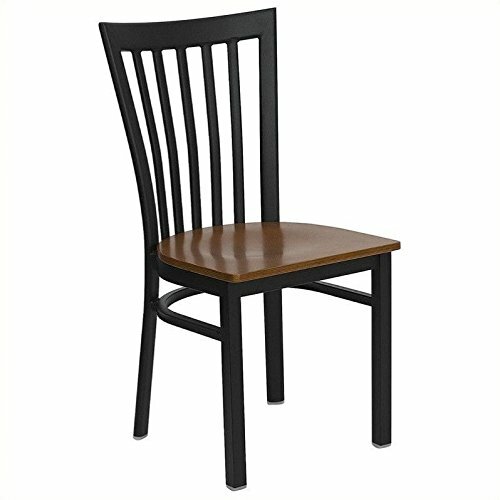 Casual Dining room chair with wood seat. Includes a vertical slatted back. Gently arced chair back features graceful carving. Assembly Required. 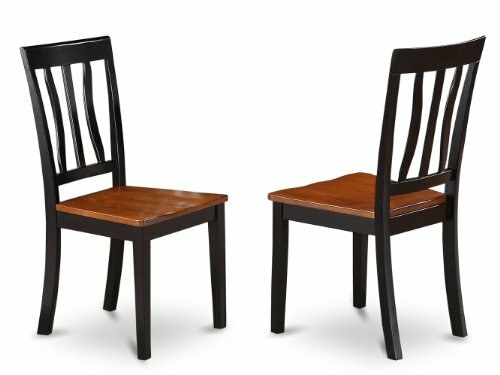 Include: Set of 2 Avon Chair for dining room Wood Seat-Black and Cherry Finish. Kitchen dinette chair constructed of all hardwood. Finished in a warm Black and Cherry color. 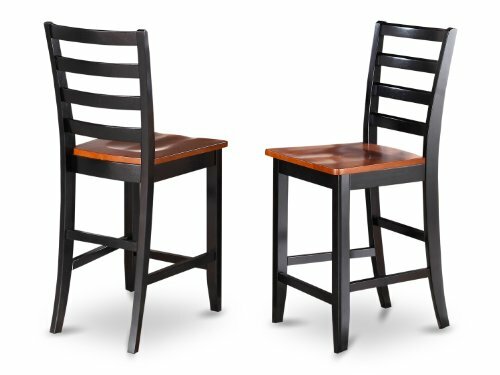 Casual Dining room chair with wood seat. Includes a vertical slatted back. Gently arced chair back features graceful carving. Assembly required. 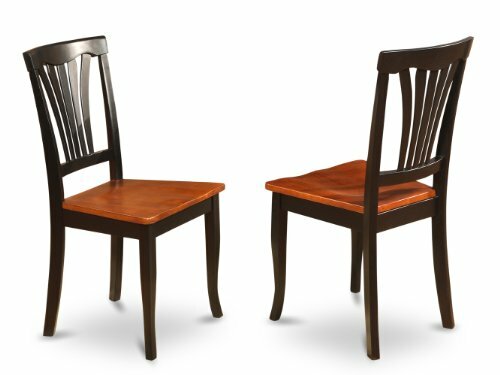 Include: Set of 2 Antique Dining Chair Wood Seat with Black and Cherry Finish. The counter height pub table provides a beautiful style that feels at home in either a working kitchen or standard dining area. These dining table feature a clean and attractive look due to its beveled sides. 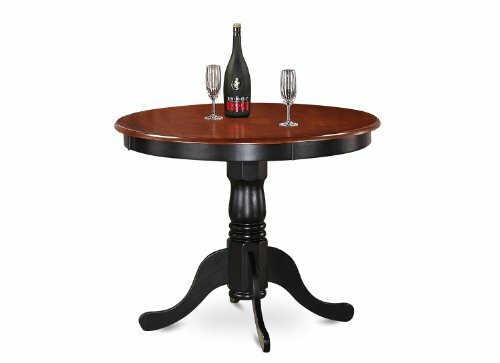 This round gathering table delivers a great amount of leg room, finished in the rich Black and Cherry color. 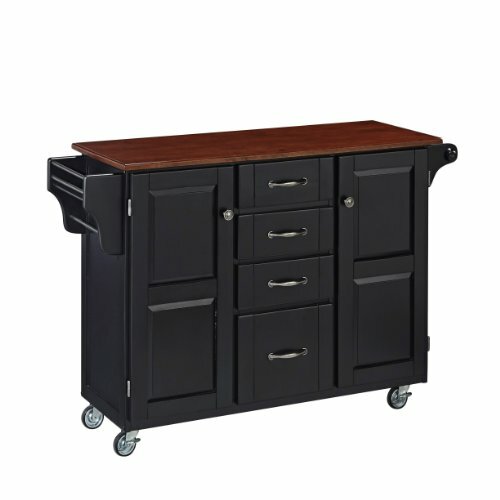 Home Styles Create-a-cart in a black finish with a 3/4-inch Cherry finished wood top features solid wood construction and 4-Utility drawers; 2 cabinet doors open to storage w/adjustable shelf inside; Handy spice rack with Towel bar; Paper Towel holder; Heavy duty locking rubber casters for easy mobility and safety. Size is 48-inch wide by 17.75-inch deep by 35.5-inch high. Assembly required. The counter height dining stools have an easy-care satin finish. 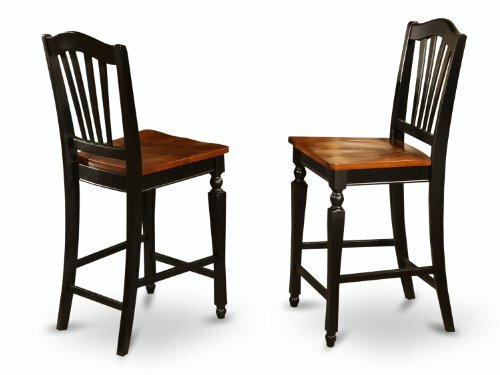 Pub counter height stools are built to last with durable hardwood, tastefully finished in a rich Black & Cherry color. Dining room counter stools constructed of all hardwood. Stool ladder back bar rests squarely on sturdy solid wood legs at counter height. These stools sport a solid wood seat. Assembly Required. Included: Set of 2 Stools- Wood Seat with ladder back in Black & Cherry.